Miss Carolyn Lyle, who won the Miss Industries Fair contest last year, has recently returned to Gisborne to operate her own beauty salon after having spent four months at a hairdressing course in Auckland. In the Auckland Master Ladies' Hairdressers Association annual competitions, which are run on a national scale, she was selected as a finalist from the 73 entrants in her class. 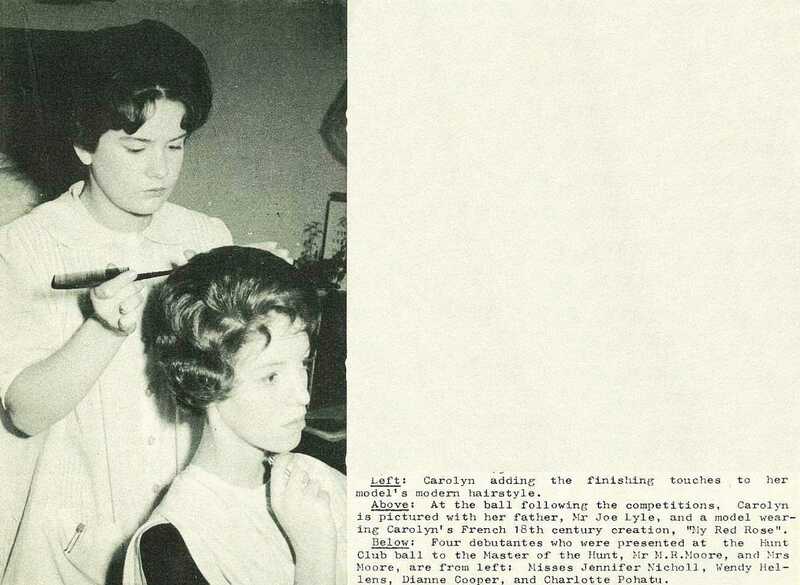 Carolyn adding the finishing touches to her model's modem hairstyle. At the ball following the competitions, Carolyn is pictured with her father, Mr Joe Lyle, and a model wearing Carolyn's French 18th century creation, "My Red Rose". 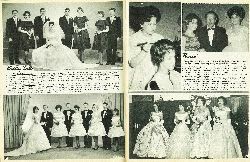 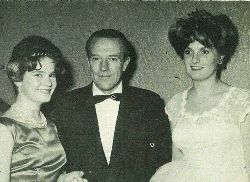 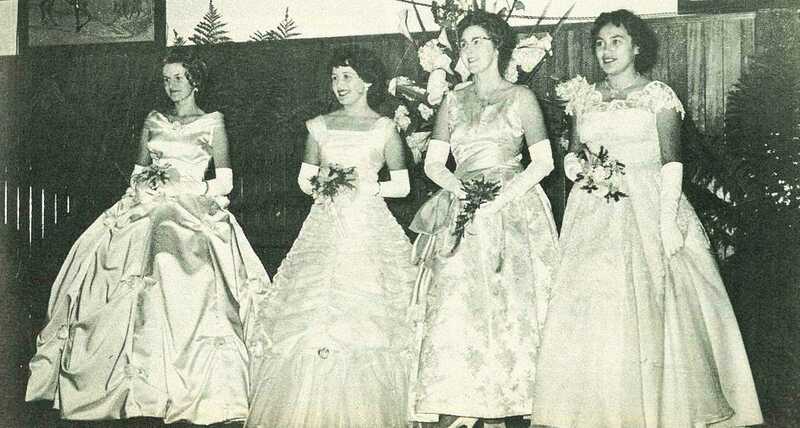 Four debutantes who were presented at the Hunt Club ball to the Master of the Hunt, Mr M. R. Moore, and Mrs Moore, are from lefts Misses Jennifer Nicholl, Wendy Hellene, Dianne Cooper, and Charlotte Pohatu.